For clients with older homes or even homes with dated decor, one of the first remodeling projects they are interested in is the bathroom. 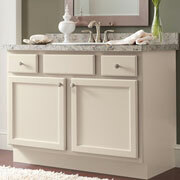 Remodeling the bathroom aids in functionality, energy efficiency, and just makes the space more enjoyable. ProSource® of Tampa offers bathroom remodeling products and materials at wholesale pricing. Trade professionals will find exactly what they need to transform their client’s bathrooms. The bathroom sink is the focal point of many bathrooms and is the first thing people see when they step into the bathroom. That’s why it’s important to offer your client a beautiful new sink, made from materials like porcelain and marble, and mounted above or below the counter. 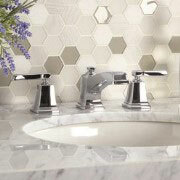 Part of the sink’s lasting visual power is the choice of faucet it has been paired with. The faucet helps to tie the aesthetic of the bathroom together. The bathroom design specialists at our showroom can help you and your client find a sleek and stylish new faucet for your bathroom remodel. Clients love their showers. It helps them start their day, or wind it down. With the bathroom remodeling products from ProSource, you’ll make this beloved space into an irresistible. Find a complete line of shower doors, handles, heads, and more in our showroom. For clients looking for a sophisticated storage solution for their freshly remodeled bathrooms, trade pros can offer them one of the many beautiful vanities we offer in our showroom. Paired with a new sink and faucet, this accessory will be the envy of anyone who sees it. 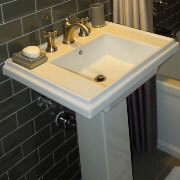 Due to their size and weight, tubs can be a difficult part of the bathroom remodeling process. ProSource makes it easy thanks to our incredible array of tubs in all shapes, sizes, and materials. 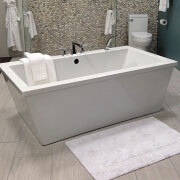 Meet with our team today to find the perfect tub for your client. Its humble status means that many toilets go un-replaced during a bathroom remodel. But trade pros should always place a new toilet in their client’s bathroom so that they can enjoy modern water-saving amenities and functions. 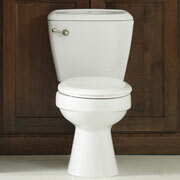 Your client will save money and water with a new toilet from ProSource. We proudly serve Tampa, Town ‘n’ Country, Egypt Lake-Leto, and Greater Carrollwood, Florida. The ProSource of Tampa showroom is conveniently located in Tampa, Florida and serves all of the neighboring cities including Apollo Beach, Balm, Brandon, Dover, Durant, Gibsonton, Lithia, Lutz, Mango, Odessa, Plant City, Riverview, Ruskin, Seffner, Sun City, Sun City Center, Sydney, Tampa, Thonotosassa, Valrico and Wimauma.